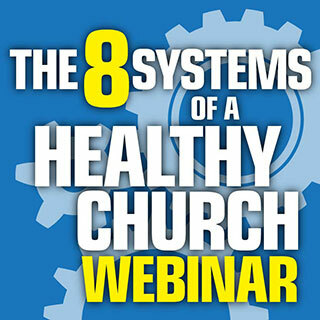 You know what needs to change in your church. But why haven’t those things changed? Why are you continuing with strategies that you know aren’t working for you? Why are you moaning but not moving? I bet the answer is the same for you as it is for the majority of the church leaders I’ve worked with through the years: You don’t know how to get your people on board. Obviously, you can’t make major changes in your church on your own. You need buy-in. You need commitment from your people. But that’s easier said than done, right? How to build two lists of influencers in your church – who should be on that list and why. The Four C’s of Change and why all four must work together. How the seasons of the year create natural opportunities for you to work with your Top 10%. The ultimate goal of working with your Top 10% is to help them grow spiritually and what you can do to help them. How to get people to understand the integral role they serve in the church is much bigger than they are. Which of these events with Nelson would you be interested in learning more about (check all that apply)? Please read the following agreement about your free trial of the Renegade Pastors Network that you will receive today. I agree to give the Renegade Pastors Network an honest try. After my 60 day free trial, I will be billed $99 and every 30 days after that. I understand there are no refunds after 15 days following my first $99 charge. My statement will show the charge from the Nelson Searcy Company. My Renegade Pastor membership subscription is for ONE church. I will not distribute these resources to any other church, organization, or individual. All materials are protected by federal copyright laws and cannot be distributed or reproduced without written consent. If I have any questions about my membership I will email orders@churchleaderinsights.com or call 800.264.5129.